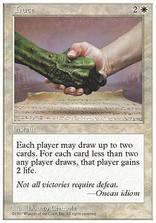 Truce ($0.47) Price History from major stores - 5th Edition - MTGPrice.com Values for Ebay, Amazon and hobby stores! 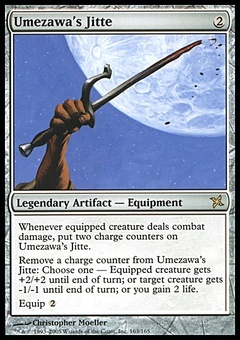 Card Text: Each player may draw up to two cards. For each card less than two a player draws this way, that player gains 2 life.